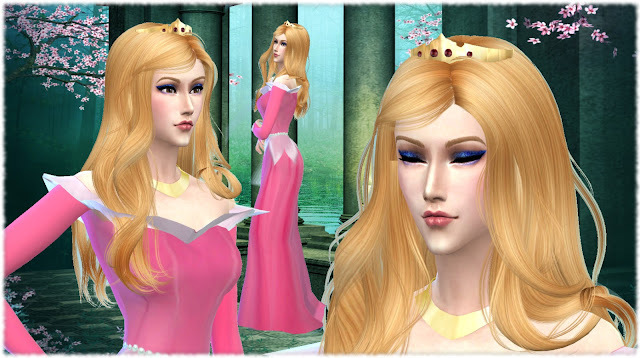 This is Princess Aurora beautiful dress and crown that she uses after she finds out she is a princess. 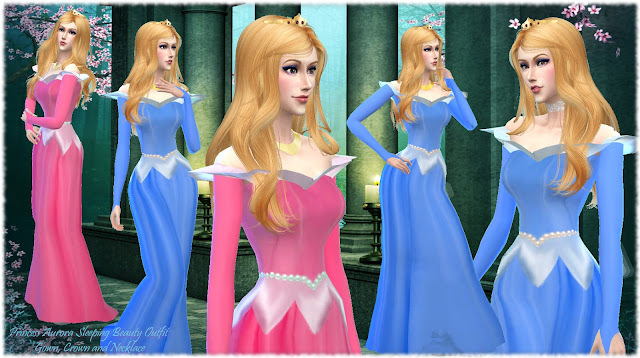 It comes in 4 dress options (blue,pink,blue/pink with a lace choker) and 5 crown colors. Thank you so much Aga! :) It means a lot that you like it! It looks great! I'm glad the mesh worked out for you. =) I sent you an email by the way, I hope all is well! Thank you Samantha! Love your page and all the cool stuff I find there :) The mesh worked perfectly, is an amazing mesh and without you wouldn't be able to do a Sleeping Beauty inspired dress :) Is just a perfect mesh for it! I wasn't much online because I was without internet for some time but now I have it :) Going to check! Thank you! J'ai répondu sur mon blog à votre question . This is a beautiful creation, I can't wait to use it in my game! This is such a lovely dress it's such a shame that this and the Cinderella dress are no longer available for download :( I hope you can upload again somewhere else! I'd love to have it! I think is fixed now. :) Thanks for letting me know.